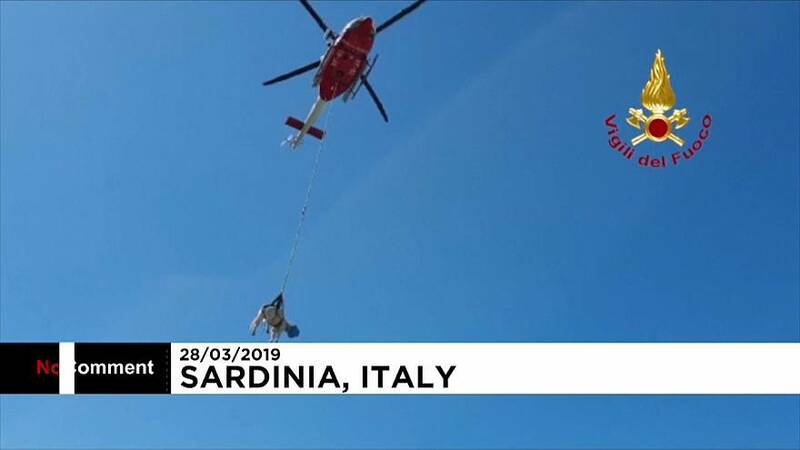 The Italian fire brigade rescued a cow stranded near the coast in Stintino, Italy. The video shows the fire brigade's rescue helicopter airlifting the trapped animal and transporting it to safety. The rescued cow was later examined by veterinarians, firefighters added.